The Olympic Flame past from Greek City, Olympic Stadium. 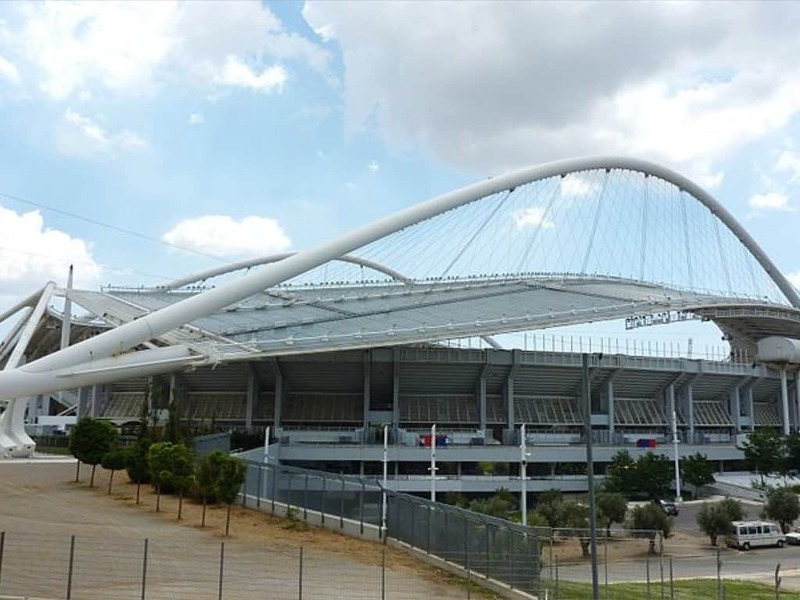 The Olympic Stadium of Athens “Spyros Louis” is part of the Athens Olympic Sports Complex. 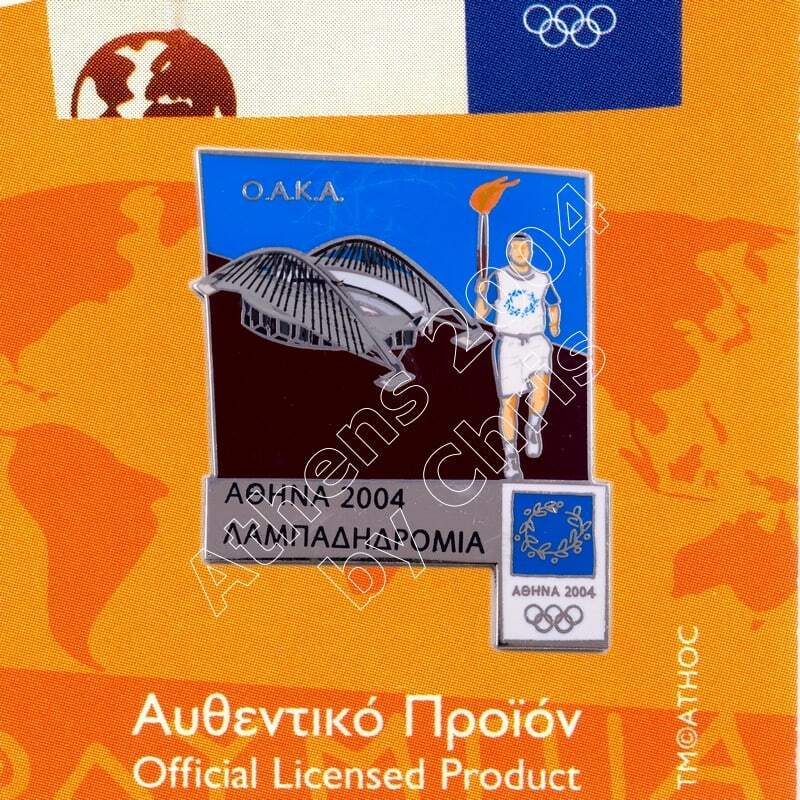 It is named after the first modern Olympic marathon race winner in 1896, Spyros Louis. The stadium hosts one of the biggest sport clubs in Greece, AEK Athens. 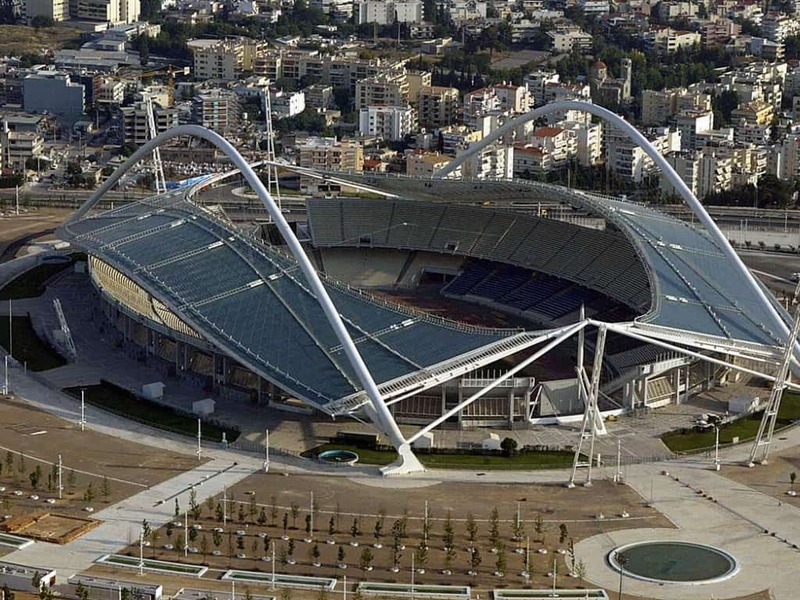 Located in the area of Marousi in Athens, the stadium was originally designed in 1979 and built in 1980–1982. It was completed in time to host the 1982 European Championships in Athletics. It was inaugurated by the President of Greece, at the time Konstantinos Karamanlis, on 8 September 1982. 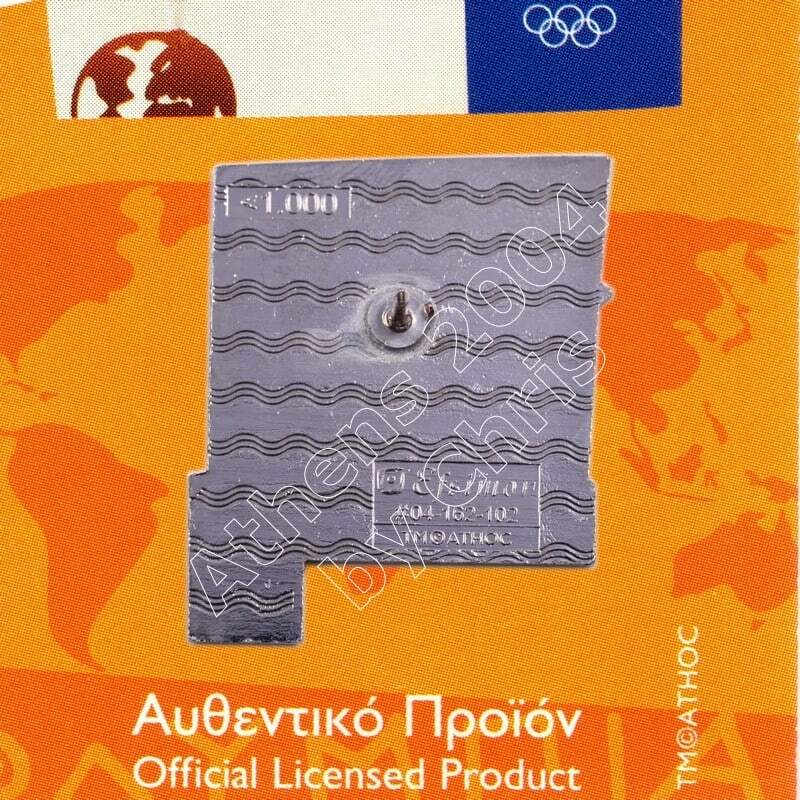 It also hosted several events of the 1991 Mediterranean Games and the 1997 World Championships in Athletics, sought in order to prove that it was capable of hosting major sporting events after the failure of Athens to win the 1996 Summer Olympics. It was extensively renovated in time for the 2004 Summer Olympics, including a roof designed by Santiago Calatrava, and innovatively positioned with Enerpac hydraulics. The roof was added atop the sidelines and completed just in time for the opening of the Games. The stadium was then officially re-opened on 30 July 2004. It hosted the athletics events and the football final at the 2004 Summer Olympics. It also hosted the opening ceremony on 13 August 2004, and the closing ceremony on 29 August 2004. The stadium’s attendance was reduced to 71,030 for the Olympics, the initial capacity was some 75,000, though only 56,700 seats were made publicly available for the track and field events and slightly more for the football final. The turf system consists of natural grass in modular containers which incorporate irrigation and drainage systems.